The Russo brothers have finally answered exactly how Thanos beat the Hulk. They were attending a special screening of Avengers: Infinity War, before getting involved with a Q&amp;A session. 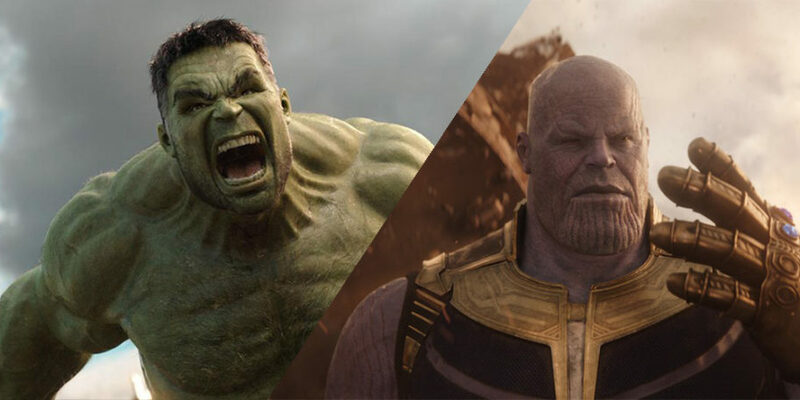 The directors, Joe and Anthony Russo, finally revealed the reason behind Thanos beating the Hulk – was it his own power, or that of the Power Stones? “You didn’t see him actively use the Power Stone in the fight. I think ultimately the way we looked at that fight and the way we talked about it with our stunt team when we were executing it was Hulk is obviously very powerful but he’s a little mindless in his fighting style. It’s aggressive. It’s pummelling. It’s safe to say Avengers: Infinity War didn’t exactly give us the generally happy ending that we’ve all become accustomed to with Marvel movies. That fateful snap of Thanos’ fingers that signalled nothing but sadness for horrified onlookers in theatres across the world is still a long way from being forgiven. Obviously we witnessed the fate of pretty much all of the main characters as we watched nervously to see who would dissolve into nothingness next. Don’t even talk to me about Spiderman, it’s way too fresh. However, with so many Marvel characters on show in the film, a number of names went under the radar and no one had any way of knowing just who was left and who wasn’t. One character that had previously stolen the show in Thor: Ragnarok was that of Korg, played by director Taika Waititi, he quickly became a fan favourite for his unrivalled comedic timing and straight to the point commentary. Korg was one of the character’s whose fate was missed out on the big screen but Scriptwriters Christopher Markus and Stephen McFeely have been discussing the fate of more heroes, including Korg. They didn’t divulge much regarding what kind of end he met, stating simply “all I can say is pray for Korg”. Which doesn’t exactly fill us with confidence. Speaking to Digital Spy they did however re-confirm that Valkyrie survived Thanos wiping out half of the world’s population. Which is great for her. For those brave enough to relive the harrowing final moments of the film, here it is to remind yourself of just which characters were deemed worthy of having their final moments caught on screen. The as-yet untitled follow up to Infinity War will be with us April 26, 2019 and will be broken up by Ant Man and the Wasp along with Captain Marvel in the Marvel universe. Rumours are circulating that the film will be titled <em>Avengers: End Game</em>, though they are nothing more than whispers at the minute. Chris Hemsworth has previously claimed the plot for the next film will be “even more shocking” than <em>Infinity War</em> too, if you heart can possibly go through such a rollercoaster again. Obviously there’s been no confirmation on which heroes will make a return, though we imagine all our favourites will surely be returning? A number of plot lines have been discussed but the one that seems to be the most popular is a potential time travel storyline, which makes pretty clear sense. Whatever happens Chris Evans has said that Avengers 4 is <a class=”body-el-link standard-body-el-link” href=”http://www.digitalspy.com/movies/captain-america/news/a830637/chris-evans-agreed-avengers-4-because-wraps-everything-up/”>”going to wrap everything up”</a>. Marking the end of phase three of the Marvel films and leading directly into phase four, with the sequel to Spiderman: Homecoming being set literally minutes after the final Avengers scene. Which of course kind of gives away the fact that Spiderman will definitely be coming back, you would imagine?